Born and raised in Albuquerque, New Mexico, Tom Whatley has a passion for the area. Prior to real estate, Whatley owned a successful multi-million dollar RV Dealership right here in Las Cruces for thirteen years. As an active member of the community, Whatley functioned as Chairman of the City of Las Cruces Fourth of July committee for six of the thirteen years he served. He was also the head GusBuster (referee) for the Gus Macker 3-on-3 Basketball Tournament, an avid volleyball and track dad at Onate High School, and was a member of the Presidents Associates Scholars board at New Mexico State University. He is also a graduate of the Leadership of New Mexico class of 1998. Having over twelve years of licensed real estate sales experience, he specializes in commercial, residential, and business real estate. 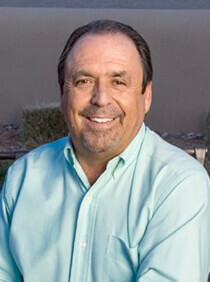 His achievements in the real estate business include, but are not limited, to REALTOR of the Year in 2011, from the Las Cruces Association of Realtors, and the Peggy Comeau Leadership Award in 2014, from the Realtors Association of New Mexico. This past year he was awarded Spirit of Service to Community by Steinborn & Associates. Recently he was voted into office as the National Association of REALTORS® director for Realtor Association of New Mexico. He has also served on the RPAC Participation Council from 2013 to 2017. He has a passion for raising the bar in real estate education, having continued his own education to include the following designations and national certifications: CRS® ABR® MRP® AHWD® SRES® GREEN® RSPS® SFR® CDPE®. Tom Whatley is more than prepared to assist you with any real estate needs you may have. Tom Did a great job in helping my wife and I with the purchase of our new home. Tom helped us find a great first time home for our son! The best agent in town. If you're looking to buy or sell Tom is your man!